PMX Gold, LLC (“PMX Gold”), a wholly-owned subsidiary of PMX Communities, Inc. (OTC Bulletin Boards: PMXO) (the “Company” or “PMXO”), confirmed today their commencement of retail Gold Bullion sales operations with the launch of America’s first “GOLD to go™ ATM” Gold Bullion Vending Machine at the prestigious Town Center Mall located in Boca Raton, FL. The “GOLD to go™ ATM” Gold Bullion Vending Machine, which was previously launched most notably at the Emirates Palace Hotel in Abu Dhabi Hotel in Dubai this past summer by the German corporate owner of such technology, will dispense newly minted .999 Pure Credit Suisse Gold Bullion Bars and U.S. minted American Eagle Gold Coins to American customers in the first U.S. test marketing of the machines to be conducted by PMX Gold. The “GOLD to go™ ATM”(www.gold-to-go.com) gold bullion products vending machines presently operate in over 12 locations worldwide including Germany, Spain, Italy and Dubai. Gold is the oldest currency and has served as a reliable store of value for thousands of years. Gold Bullion products are becoming more and more sought after as a hedge against uncertainty, and Gold continues to hit all-time highs. However, the marketing of physical Gold Bullion in the United States has traditionally lacked fair pricing, quality control and acceptance by the general public due to non-standardized distribution methods. This high-tech, German innovation offers the general public a safe, simple and convenient method to acquire gold bars and coins of certified quality based on fair, real-time prices. The machines are permanently online and adjust product prices every 90 seconds according to the current market price of gold. 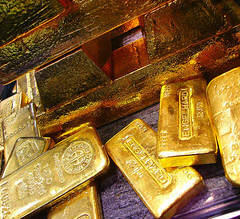 By eliminating the need for potentially costly “brick and mortar” retail space, salespersons and staff, and by utilizing our operational support platform for infrastructure requirements, we believe that a very unique and compelling Gold Bullion sales opportunity presents itself to potential U.S. partners in such business. Interested parties and potential investment/joint venture development partners are invited to email info@pmxgold.com or call and ask to speak to our Business Development Team. We will consider a wide range of opportunities, and we do not have fixed criteria for project consideration. All products purchased from our “GOLD to go™ ATM” Gold Bullion Vending Machine can be unconditionally returned with receipt by the original purchaser to us within ten days of the date of purchase. The money-back-guarantee is valid as long as the seal on the coin pocket is not broken; the customer will then be refunded the purchase price +/- the percentage change of the gold price (London Fixing) between the date of purchase and the date on which the product arrives. PMX Communities, Inc. (PMXO) is a development stage company with diverse interests focused on certain performance based sectors of the economy. PMX Gold focuses on the development of leveraged opportunities within the international precious metals and mining markets. PMX Gold is committed to developing retail Gold Bullion sales channels that provide investors access to retail ownership of Gold Bullion with customer satisfaction assured by a fully reporting U.S. public company. Further information about the Company can be obtained at our website, http://www.pmxgold.com which provides a link to the Company’s public filings with the SEC located at www.sec.gov ,or by calling our shareholder relations department at 561-210-5349. Certain Company information is also available through Standard and Poor’s. Certain statements made by the Company and its management on its behalf in this release and other periodic, oral and written statements, regarding the Company operating performance, events or developments that the Company believes or expects to occur in the future, including those that discuss anticipated financial results, strategies, goals, outlook or other non-historical matters, or which relate to future sales, earnings, expectations, growth of the Company or of the market for its products and services, or general belief in the Company’s expectations of future operating results are “forward looking statements” within the meaning of the Private Securities Litigation Reform Act of 1995. All such forward-looking statements are subject to risks and uncertainties, including but not limited to product demand, market and customer acceptance, competition, pricing, working capital considerations, and as otherwise discussed in the Company’ s SEC filings. Such forward-looking statements are subject to change at any time, and the Company’s actual results may differ materially from anticipated results. The Company undertakes no obligation to update or revise any of such statements to reflect subsequent events or circumstances.